The secret side of luxury ostrich handbags has been revealed in a haunting new video by PETA. Shot in South African slaughterhouses, the film shows the grim lives of newly hatched ostriches, who are raised in feedlots for less than a year before they are slaughtered. The ostriches’ signature “goose bump” skin is ripped from their bodies, sold to become handbags, shoes and belts by luxury brands such as Hermès, LVMH and Prada. PETA’s video is the first exposé of the controversial industrial ostrich-slaughter industry, showing luxury shoppers the hidden inhumane acts behind the coveted Birkin bag. Ostriches are intelligent birds who are as sensitive and curious, as they are beautiful. The video follows the South African slaughterhouses that supply 85 percent of the ostrich leather for the global luxury economy. These slaughterhouses not only kill and pluck the ostriches, but are also responsible for hatching new birds. Rather than bonding with their parents, the newly hatched ostrich chicks are kept in dirt feedlots, where they are raised in over crowded conditions until one year of age. Once they are large enough, they are trucked to the slaughterhouses where they are stunned and hung upside down, awaiting their deaths. Their throats are then slit and their feathers are plucked, sometimes whilst still alive, for their bumpy skin. The pocked ostrich leather then becomes luxury bags, belts and other accessories that are sold for exorbitant prices. PETA hopes that this revealing video will encourage luxury goods buyers to invest in cruelty-free alternatives, as well as prompt luxury retailers to end inhumane treatment of animals for their skins. The secret side of luxury ostrich handbags has been revealed in a haunting new video by PETA. Shot in South African slaughterhouses, the film shows the grim lives of newly hatched ostriches, who are raised in feedlots for less than a year before they are slaughtered. 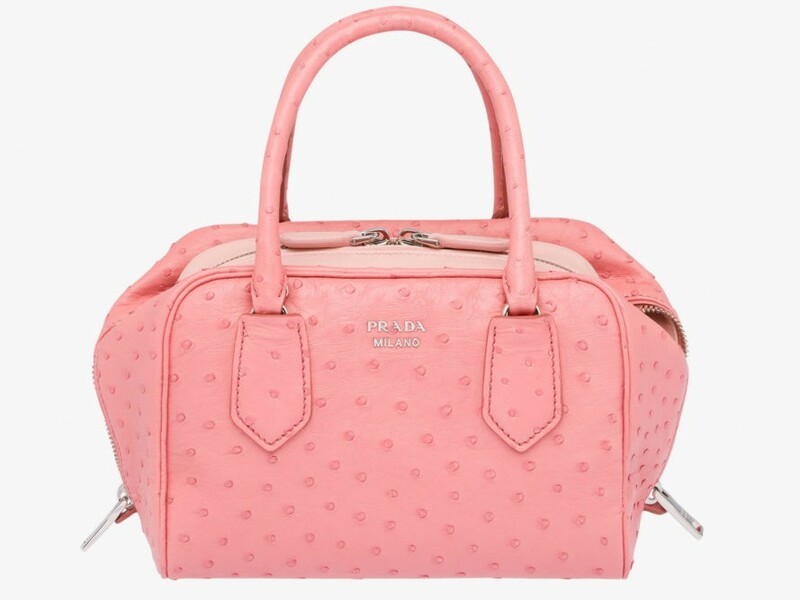 The ostriches� signature �goose bump� skin is ripped from their bodies, sold to become handbags, shoes and belts by luxury brands such as Herm�s, LVMH and Prada.